Penultimate episodes are tricky things, as they often end up turning into setting things up for the season finale without much, if any, important plot movement. And while some things certainly did happen in "Something They Need," the episode was one of the weaker of the back half of this season of The Walking Dead, opting to eschew intelligent character beats in favor of moving the chess pieces of the show one final time leading to next week's finale show down. So, it looks like Sasha will live to appear in one more episode of the series after her failed kamikaze attempt (and Eugene's decision to bring back Chekhov's poison from a few episodes back rather than give her any tool that could possibly kill Negan). What I don't quite get is why Sasha didn't just try to off Negan when he gave her the chance. Yes, the odds were long, but I can't help but think she could have at least nicked his femoral artery before she was killed (since she certainly doesn't seem to mind if she dies alongside Negan). Even getting a shank from Eugene would have required her to get into close quarters with Negan before killing him, and would likely still have cost her life in the exchange. It just doesn't make sense. But who knows, maybe the show isn't going to kill her? And Sonequa Martin-Green will be able to do both this show and Star Trek? Or, Sasha is going to be one of the casualties next week. I guess we'll have to wait and see. 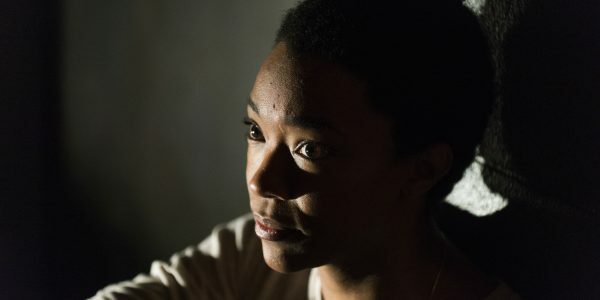 [caption id="attachment_94629" align="aligncenter" width="600"] Sonequa Martin-Green as Sasha Williams - The Walking Dead Photo Credit: Gene Page/AMC[/caption] My biggest disappointment with the episode was its use of Oceanside. While I'm happy the colony wasn't killed off (something that would have absolutely colored Rick's team as just as villainous as the Saviors, taking other's guns while killing them), the actual result doesn't really paint Rick as the best leader. Yes, they have a whole host of guns now, but they stole them from people who need them. They've left an entire colony unprotected. If they don't succeed in killing off the Saviors (which, come on, we know they eventually will or else there won't be a show), Oceanside has no way to defend themselves against any outside attack. The argument could be made that Natania's refusal to work with Rick would be the real reason for Oceanside's situation, but I just can't get behind that. How is what Rick did any better than what Negan has done to Alexandria? Swooping in and taking what doesn't belong to you simply because you feel you need it more? That's pretty close to Negan's idea of giving tribute. To Oceanside, the Saviors are the ultimate villains. But they just wanted to be left alone. They wanted to protect themselves from threats, live their lives, and not have to deal with everyone else. And I think that should have been their right. Rick doesn't have the right to take their guns, even if it means it will help fight the ultimate Big Bad. I suspect Oceanside will be back in play next season, perhaps with Cyndie and others leaving the colony and opting to live in the real world (and I suspect Rick and company would welcome more trained fighters back into the fold, as there will be loses after next week). But the entire Oceanside operation left a bad taste in my mouth. What troubles me the most is that I have little doubt that the show wants us to see Rick's way as the only way, and Natania's choice as the wrong one. And I can't bring myself to do that. 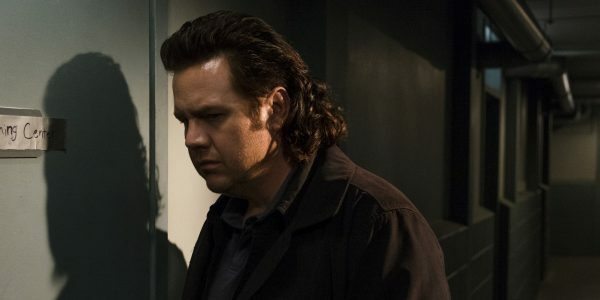 [caption id="attachment_94628" align="aligncenter" width="600"] Josh McDermitt as Dr. Eugene Porter - The Walking Dead Photo Credit: Gene Page/AMC[/caption] Final Thoughts: -- Tara's a pretty solid negotiator. She certainly did more than Rick to turn at least some of Oceanside to their cause. -- So it was Dwight Rosita ran into on her escape. And he wants to join the good guys. About damn time. -- It looks like Eugene is pretty happy where he is. I wonder how things will look by the end of next week, when he's undoubtedly faced with his old friends again. -- As for Natania's staunch isolationist position, why is she so hell-bent on maintaining it? We know she lost her family, but so did pretty much everyone else at Oceanside. But when faced with her lieutenants advocating for joining the fight, she just resolutely refused to even consider it. I would have liked more time to explore her reasoning and see actual negotiations. But that would have required nuance in the writing, and this episode certainly didn't care about that. Natania's role was to be the counterpoint for Hero Rick's Righteous Fight, and that's all she was. Which is unfortunate. -- I can't have been the only person who thought Eric, Aaron's boyfriend, was toast when he went on the mission, right? I have a hard time seeing him making it out of the season alive, though. Especially now that Jesus has officially come out of the closet. Getting Aaron and Jesus together would make a great deal more sense, since both are larger players in the show than poor Eric. -- So Gregory has lost face in front of his people thanks to Maggie. I have a sneaking suspicion he's going to take Simon up on his offer from last week and burn Maggie.